Order now and we will deliver when available - Normally ships in 1 week but may be subject to variation. This is an ARRI Head to Ballast Cable. 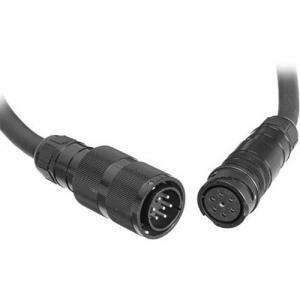 The 7 metre long cable is compatible with 575, 1200 and 1800W heads such as the ARRISUN 5, 12 Plus, 18, and 40/25 heads. It's also compatible with the ARRIMAX M18, the ARRI X X5 and X12, D5 and D12 Fresnels and the Compact 575 and 1200 heads.